The Prince’s Foundation School of Traditional Arts Icon Painting course was established in 2009 to offer aspiring iconographers a structured foundation course in which to develop their skills. Throughout the Icon Painting course, students are able to explore the Orthodox Church’s theology of the icon, as well as learn and hone key techniques such as egg tempera and pigment preparation. The Icon Painting Course is taught by professional iconographer Aidan Hart, who has over 30 years of experience and has works displayed in many cathedrals and monasteries around the world – remarkably in over 25 countries. His most recent pieces can be seen in Canterbury Cathedral and Lancaster University Chaplaincy. We talked to Aidan about his love of iconography and his inspirations behind his work. How did you become an iconographer? I began as a sculptor and was trying to find ways to indicate the spiritual nature of the human person in my work. A friend suggested that I look at icons, and I immediately recognised that they did what I was trying to do. This encounter with icons eventually led me to become a member of the Orthodox Church, and also to test a monastic vocation. To train as an icon painter seemed a natural progression, and was indeed suggested by my parish priest. Unfortunately I couldn’t find a teacher, so had to learn in various other ways: by analysing masterpieces and trying to discover their secrets; by reading academic papers by conservationists who used technology to analyse old icons; by learning whatever I could from experienced icon painters whom I met, or who had written about their technique; and in particular, by studying the works of one of the great iconographers of our times, Father Zenon Teodor. How did your studies prepare you for your commissions? Even though I have been a full-time iconographer for over 35 years, I feel that I am still a student. The more I know, the more I know, I don’t know! But the most important things I have learned so far might be: to try and get below the surface of great icons, seeking to find the reasons why they are so powerful; to understand form before simplifying it – “Complexity is simplicity resolved” said Constantin Brancusi; to be faithful to the timeless principles of the icon tradition but not merely copy; to be a servant to others by doing my best to convey the beauty of life with Christ in my icons. Technically, it was probably two large mosaics that my assistants and I made for a church in Houston Texas. Each measures 5 x 3.5 metres, and contains about 200,000 individually hand cut tesserae. But every icon is a challenge, regardless of its size, for it will always fall infinitely short of the splendour of divine beauty. 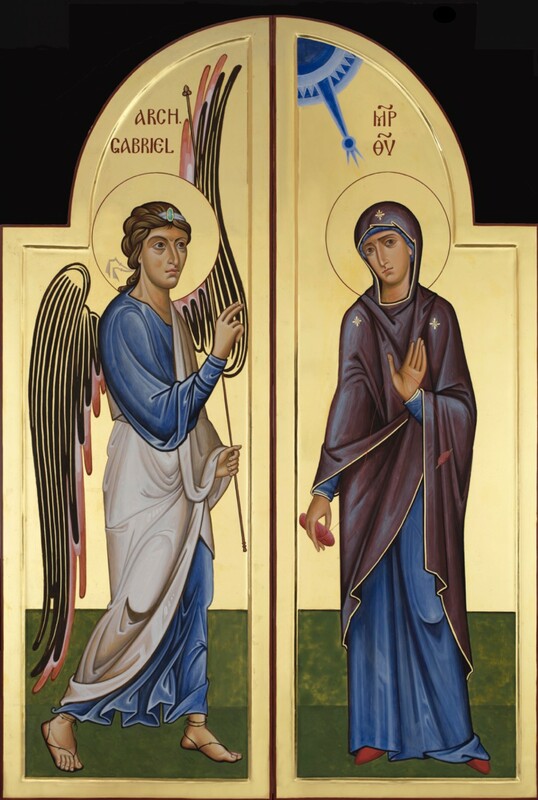 I am currently painting six large icons for an Orthodox church in Cambridge, and will then go on to design and paint frescoes for a Roman Catholic cathedral. What is especially exciting about teaching this course? The demand for icons increases year on year, so it is wonderful to assist training a new generation of iconographers who will help meet this growing need. To be fully proficient takes around 10,000 hours, so the course is just a foundation. But it is a beginning. It is humbling to see how the course has helped the students develop spiritually as well as technically since iconography is theology in colour and form. And of course, I myself learn so much from my students as well!